Our approach to sustainability is simple. We all want to leave the planet a better place than we found it. At Trader Joe's, we're working hard to do just that, in part by reimagining how we approach packaging in our stores. We've eliminated certain types of packaging, we're reducing other types of packaging, and we're taking steps to remove more than a million pounds of plastic over the next year alone! We're going to the store, to a recycling plant, and to a next-generation manufacturing facility dedicated to making a positive impact, one plastic bottle at a time. 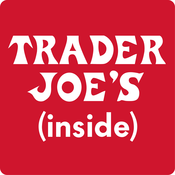 At Trader Joe's, we are focused on growing, every day – with every product, in every store. We're opening new stores, hiring new Crew Members, meeting new Customers, and developing new products. Whew! In this episode, we talk about finding new store locations, we chat with customers at one of our original East Coast stores, and we look forward to some delicious new products coming to your neighborhood Trader Joe's in the year ahead. When we say we travel the world in search of great products for our customers, we really mean it! In this episode, come along with us as we circumnavigate the globe, finding the WOW in locations around the world, from South Korea to Southern California, with stops in places like New Zealand, Thailand, the Republic of Georgia, Puerto Rico, and so many more!